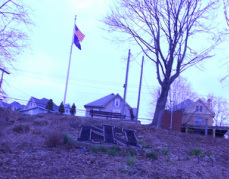 Founded in 1895, North Irwin is a .25 square mile plateau that is North of the city of Irwin and the Pennsylvania Railroad tracks. The property was acquired from the Ewing family who used it as an orchard. Come join us and learn about our community! All fires must comply with Ordinance 3-88 and shall be attended to at all times by a responsible party. Outdoor fireplaces and grills used solely for food preparation purposes shall not require a permit, but must adhere to all pertinent provisions of Ordinance 3-88 with the exception of time limitations. Bonfires for amusement purposes shall be permitted with the condition that all of the regulations of this section of Ordinance 3-88 are complied with. No fires between the hours of 1:00am-9:00am. ALL FIRES shall be totally extinguished; so as to assure there is no smoke or smoldering of said fires.